Homegrown automaker, Mahindra & Mahindra Limited (M&M) is a specialist when it comes to building rugged, supremely functional and feature rich cars. They have dabbled with every segment of the Indian automotive industry and have put forth some truly memorable automobiles. The company is famous for launching a wide selection of ‘Jeeps’ that are built specifically to work in Indian road conditions. These include the legendary MM540, its successor- the equally impressive Thar, a whole bunch of SUVs and compact SUVs and a creative selection of EVs and roadcars. Mahindra are a force to reckon with when it comes to the Indian automotive scene. Considering the Mahindra XUV 500 price in India versus the available on-board features, this is probably one of the finest SUV options in the country. Alongside its siblings, the Scorpio, Bolero and Quanto, the XUV 500 offers the Indian audience the sophistication, ruggedness and functionality of a top-end Sports Utility Vehicle at half the price. 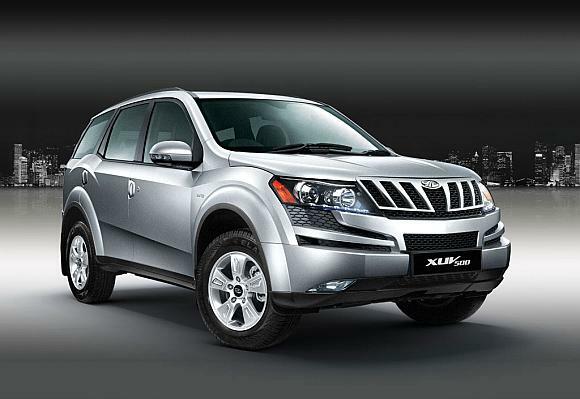 Mahindra has also established itself in the nascent Indian compact SUV market wherein an intense battle is brewing amongst all the prime carmakers in India. The KUV100, TUV300, NuvoSport and Xylo are Mahindra’s products in this segment and the company is offering stiff resistance to the market’s leading compact SUV choices, the Maruti Suzuki Brezza and Hyundai Creta. In fact, considering the TUV300’s price, versus the features offered, the car is a formidable competitor indeed. Mahindra’s seriousness pertaining to the Electric Car (EV) revolution can be gauged from the fact that the company purchased the Bangalore based compact EV maker, Reva Electric Car Company. Mahindra has been very vocal about their aspirations in the EV automotive scene and immediately put forth two exciting EVs- e2o and its bigger sibling, e2o Plus. Later, in a market saturated with low performance EVs and mild hybrids, the company put forth the eVerito, a full fledged electric sedan. In some of these endeavors, the company hasn’t encountered immediate success. However, the company’s positive steps towards a EV future is highly laudable. In 2011, M&M acquired a controlling stake in the fourth largest South Korean automaker SsangYong Motor Company. This allowed the company to bring forth a couple of SsangYong’s cars into the Indian market and fish for a reaction for these top-end offerings. The sheer advantage presented by the XUV 500 and Scorpio’s price points, features and maintenance costs posed an immediate challenge to the SsangYong SUVs. As a result, M&M withdrew these cars from the Indian market a couple of months back. However, since it’s Mahindra, expect to see these cars making a comeback in the near future. Competing against such big names as Maruti Suzuki, Hyundai and Tata in a market as vibrant and unpredictable as India requires some serious skills and foresight. Thankfully, Mahindra has the expertise required to not only compete but dominate. The Scorpio, Thar, XUV500, Bolero and now, the refreshingly different KUV100 are popular cars that have a big fan following in India. In fact, the KUV100 is the budget compact SUV to beat, while no other carmaker has the head start as commanded by Mahindra when it comes to Electric Cars. The future, looks absolutely blazing for this enterprising Indian carmaker! !